Curious how the magic happens? 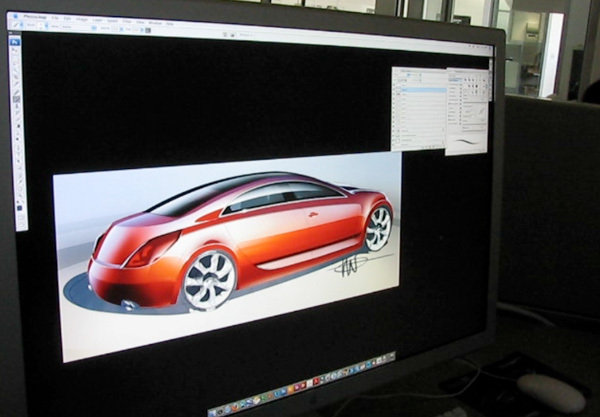 I have always been mesmerized watching master marker renderers and sketch artists at work… While visiting Toyota Calty Design Research, i had a chance to see Project Chief Designer, Ian Cartabiano, show us how it’s really done on a huge apple monitor and wacom tablet (he’s old school, and likes having the tablet while seeing the screen, versus those who love the Cintiqs). So you can see one of my little home videos (one of these days with some combination of time, energy, extra pair of hands, etc i will make proper videos with real editing and maybe even music?) ~ giving you a quick skip through the presentation ~ from initial stages, to some highlights, to a flip back and forth between finished and initial sketches, and the crucial signature! But honestly, if you want to learn how to sketch cars properly, you should probably go take Ian’s class at Art Center ~ after graduating Art Center, he got pulled right into Toyota and has been there for 11 years… while simultaneously teaching… keep an eye out for his latest exterior design, the 2009 Venza! Yesterday Toyota (for the first time) opened up it’s Calty Design Research doors to a tiny group of journalists (Core77, KCRW/NPR, Architect Magazine, Dwell, Inhabitat, DesignMom, Zaproot, and i was honored to be included in the group)… and as we all know, security and secrecy in the car industry is nearly impenetrable, with design secrets that manage to be kept under wraps for years before the public even gets wind of the concepts, it was an honor (and SO much fun) to get an inside look at Toyota’s studios and their work flow… AND to be able to share it with you! 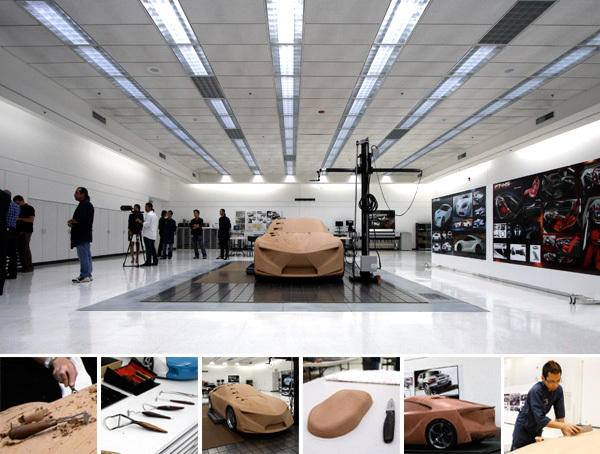 So take a look inside the Toyota Calty Design Research modeling space on the next page, and our experience hands on with the clay! NOTCOT Note: I’ve been so curious about the Target Bodega’s popping up in NYC, thankfully, Anna was able to stop by and take a few pics to share with us! 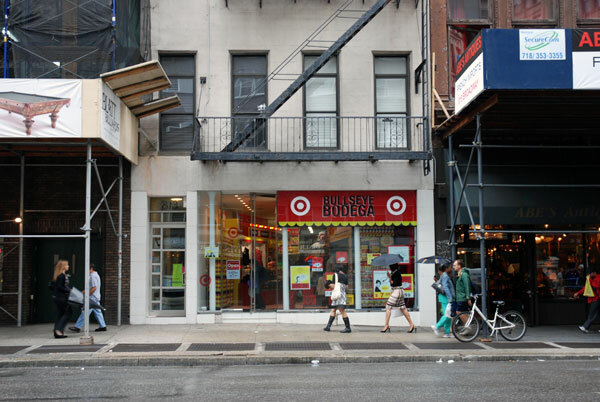 I stopped by Target’s Bullseye Bodega in Union Square this weekend - one of their four pop-up stores in Manhattan (open for only four days, today being the last). The store design plays on the classic New York bodega and is filled with exclusive Target home, fashion and beauty products from the likes of DwellStudio, Converse One Star, and Michael Graves to name a few. Besides products already in Target stores, the bodegas offered a preview sale of four new lines that aren’t yet in stores - Sigerson Morrison, Anya Hindmarch, John Derian, and Jonathan Saunders. I preferred the design and concept behind the stores to the products themselves, and have a bunch of pictures on the next page showcasing the fun graphics and bodega-like installations in the stores. 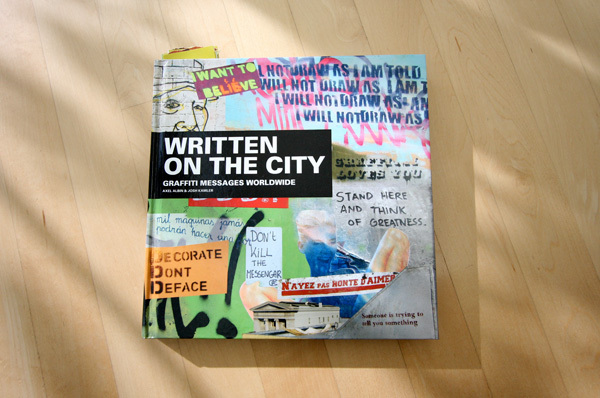 See the next page for a visual walk through of the exhibition! See the images to walk you through the exhibition on the next page! 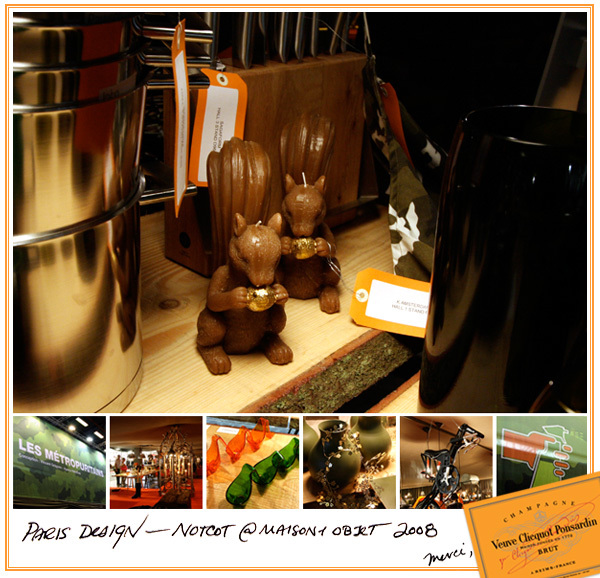 Ok one post series i’ve been needing to catch up on, but somehow hadn’t had time to get through cleaning up the many pictures… Maison et Objet: Simple! 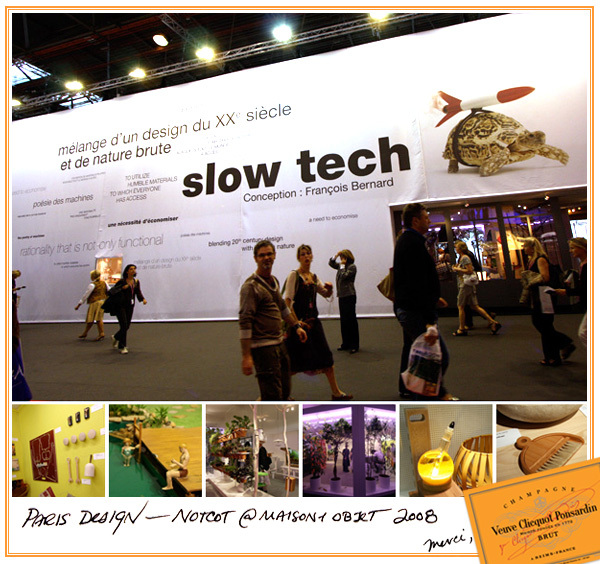 Incredible micro-exhibition spread between three even tinier exhibition spaces which were placed at the front of 3 of the 6 massive Maison et Object halls in Paris. 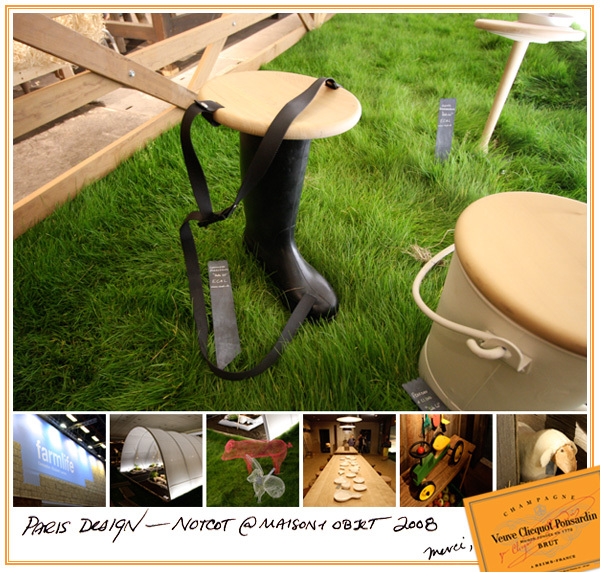 Really the concept is fabulous because there is absolutely no way to cover every single booth of every single hall in such a monstrous convention center and stay sane ~ what they did were pick three curator/designers, each given a theme (overall theme SIMPLE, micro themes: Farmlife, Les Métropuritains, Slow Tech) ~ and give them a space to design around the theme and showcase the best products from the show with in them. 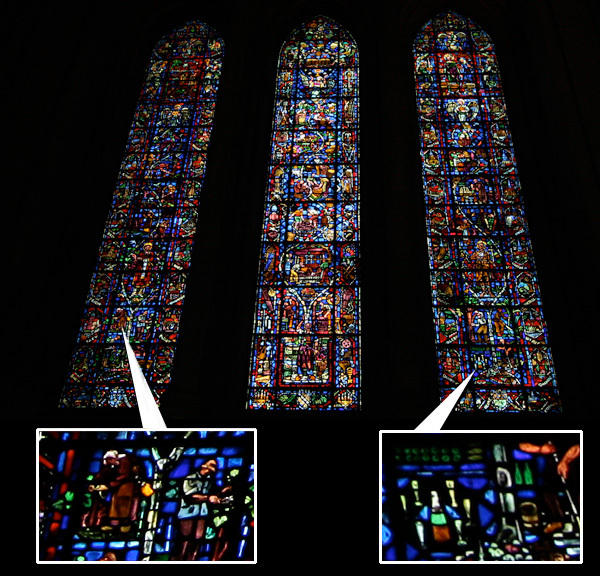 The results were three engaging and unique browsing experiences that you really have to see the images to get a feel for. in the next three posts i’ll give you a look at each of them! 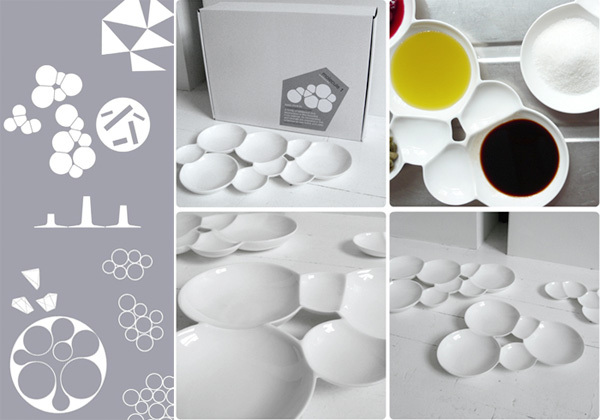 NOTCOT Note: Here’s another fun discovery from Anna of Sub-Studio! Have you noticed she’s become one of our new heavy contributors to NOTCOT.org? I first met Andrio Abero back in 2001 at a party in San Francisco where we bonded over a mutual love of music and design. 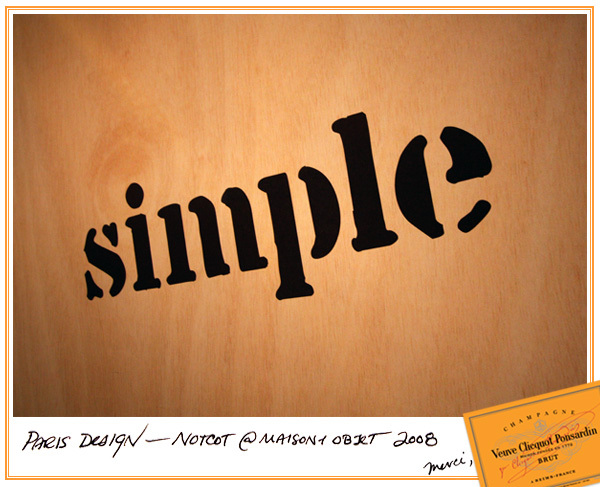 Andy went on to become one of the foremost graphic designers in the Pacific Northwest, particularly known for his show posters. 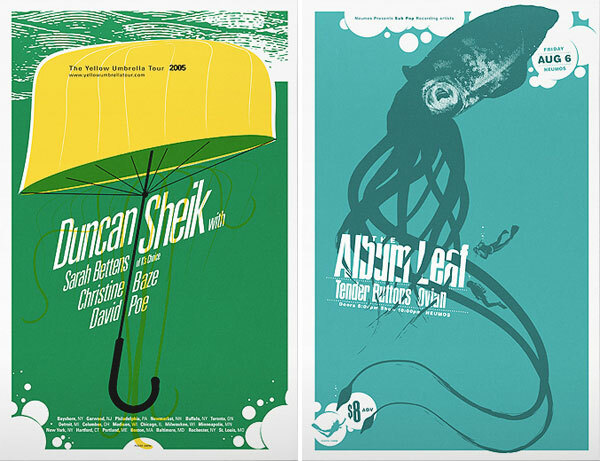 His work is smart and graphic, and I love the way he plays with texture and typography in his illustrations. 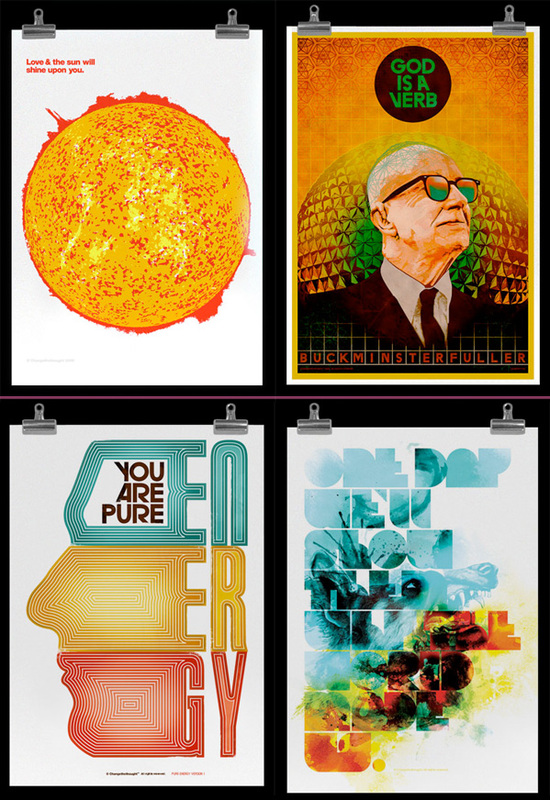 Since founding 33 RPM in 2000, Andy has produced a huge body of work (I had a hard time choosing my favorites for this post), including the Bumbershoot 2006 campaign, and a bunch of magazine illustrations for New Scientist, Business Week, and The New Republic to name a few. Change The Thought posters ~ aren’t they beautiful? Beautifully inspiring? I couldn’t decide which ones of these 4 to show as the main image, so decided to post them all - close ups on the next page… although as i stare at these more and more, i think i’m most smitten by the “Sunshine” and the “One day we’ll show them why the world made us.”! 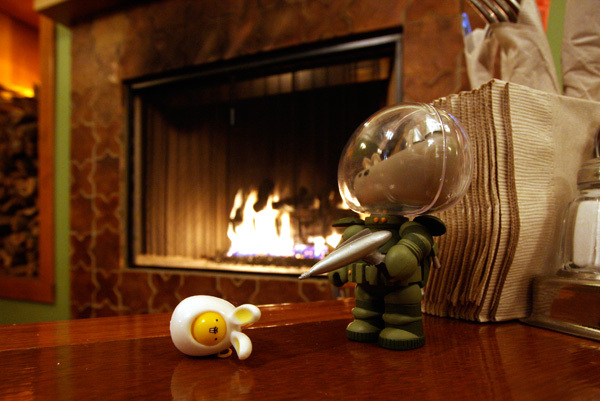 [Above is my latest new toy - a mis-colored helmeted Astro-Krieg Rhino and my random capsule machine egg/rabbit at the fireplace in Park Chow] Next time you’re in the SF area, you MUST stop by T.A.D. Gear at 660 22nd Street in SF - what they don’t show you in their pics of the store is the Rocket World section, which is like the holy grail of Rocket World I.W.G toys and prints, and not only do they do all online fulfillment for both brands in this space but also have their design studio upstairs! So on the next page, i have a peek at the store, the gallery space, and the design studios… if you thought Shepard Fairey’s studios were cool, you’ll drool at how inspiring this space is! So before the onslaught of images to walk you through our experience at the incredible converted warehouse space, here are a few quick points to note. 1) For anyone that like the great outdoors (or is a special op, or just likes being well shielded from the extremities), but has a NOTCOT type of aesthetic (love matte black? lack of logos? incredible attention to every detail?) - you have to check out T.A.D. Gear’s jackets, pants, and backpacks before you reach for the next Patagonia catalog. Dan just ran off with his to Burning Man, so i’ll try to get you some detail pics later. 4) Rocket World I.W.G creatures have their own dedicated section, and while at first it may sound odd to have some of the coolest vinyl toys showcased and designed by the same crew that makes some of the most impressive tactical gear i’ve seen… if you go, it will all make sense. Especially once you find out that Patrick Ma (aka “Otter X”) has a background ranging from the army to a masters in art, a love of the animal kingdom to a calling towards fashion design… is it any wonder that all of his passions have perfectly fused into an incredibly well kept secret lair of custom designed tactical gear as well as some of the cutest most detailed badass animal toys out there? Ok, sorry i’m rambling, but as you can tell, i was totally giddy there - blown away by the products and toys initially, and from a business/inspirational perspective, hearing Patrick’s background and philosophies on business and how he’s managed to keep focus on doing what he loves (as many varying things as that may be) for over 10 years now, without giving in to the many temptations to sell out along the way and still be extremely successful - especially when you’re pursuing new and uncharted concepts/ideas! Go see the pics on the next page! 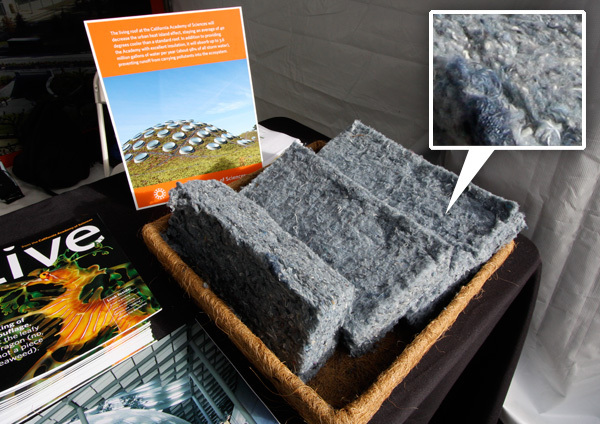 Another Outside Lands’ Eco-lands discovery ~ that beyond the living roof, solar panels, and more sustanable architecture going into the new California Academy of Sciences building reopening in Sept in Golden Gate Park ~ they are using recycled DENIM insulation! So if you’re not sure what to do with all those old jeans, apparently this is a great way to make better use of them! See more images on the next page ~ read more about the California Academy of Sciences building here ~ and check out the PENGUIN CAMs! 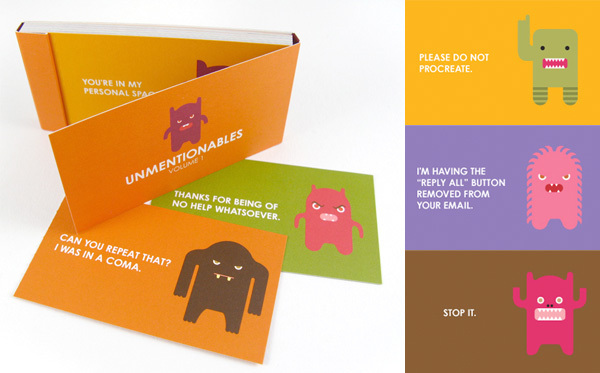 Preprinted mini color booklets of 20 cards by Shinebox ~ filled with monsters saying all the grumbly things you wish you could, or know you shouldnt… Unmentionables! Spotted over at Swiss Miss, these little guys are quite adorably grumpy, and i couldn’t decide my favorite, so see them all on the next page!